Intent on getting in on the momentum building behind the cloud, Oracle Corp. is refocusing the company to become a top cloud player. The company is making that clear at its annual customer conference, Oracle OpenWorld, in San Francisco this week. During his opening keynote, Larry Ellison, Oracle executive chairman and chief technology officer, said the company intends to take on Amazon Web Services and its top position in the cloud market. "Amazon's lead is over," he said. "Amazon's going to have serious competition going forward." Steve Daheb, a senior vice president of Business Groups at Oracle, didn't come out and so clearly say that the company is focused on chasing down AWS, but he told Computerworld in an interview Friday that Oracle is all about the cloud. "I think Oracle is all in on cloud," he said. "If you look at the investments we're making -- billions of dollars, thousands of engineers – I don't think there's an element of the company that hasn't changed to help make this transition." Cloud computing has been an ever increasing hot spot for enterprises. Companies may have started slowly, anxious about security and reliability issues early on, but they've largely overcome those concerns and are investing not only launching new services and apps in the cloud but also in moving legacy systems there. Earlier this month, for instance, 451 Research released a report noting that a majority of enterprises expect to be running their workloads in the cloud within two years. According to the report, the level of enterprise workloads in the cloud is expected to shift from 41% today to 60% by mid-2018, and 38% of enterprises say they will at least consider, if not prioritize, the cloud for all deployments. That's the booming market that Oracle wants to get in on. To that end, the company announced that it's launching a set of new cloud data centers, a low-cost infrastructure-as-a-service (IaaS) offering, and a new Oracle Dense Cloud IO bare metal cloud server product. On Sunday, Oracle said it was acquiring privately held Palerra, a vendor of cloud security services. 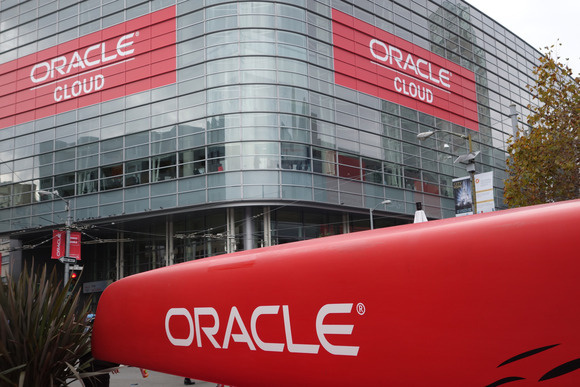 Oracle also is in the process of acquiring NetSuite Inc., a business software services and cloud vendor, for $9.3 billion. "We're showing up with the right solution at the right time," said Oracle's Daheb. "Customers want someone who has a much more complete stack … We do have the whole package ready. We have the industry's most complete offering. A lot of what we're offering at OpenWorld is enhancements, extensions to what we offer today." That, according to Daheb, is the trick. Many enterprises use multiple cloud vendors, such as one for Infrastructure as a service and another for software as a service and still others for integration tools and tools for big data, data analytics and security. "They don't have that full suite," Daheb said. "Customers are putting this stuff together. 'I'm using Amazon for some of this. I'm using Azure for some of this. I'm using someone else for cloud access management.' Someone has to put that all together." That someone, he said, is going to be Oracle. While Daheb said the company isn't playing catch up, industry analysts say that is exactly what Oracle is doing. "I think it is a necessary move, but there is still quite a bit of catching up to do," said Cassandra Mooshian, an analyst with Technology Business Research. "Oracle is trying to move the needle in changing perception … Perception is still the biggest hurdle for Oracle. There's still so much vendor lock-in associated with Oracle that I don't think they're really perceived as a true cloud player yet because the idea of cloud is one that is interoperable. ... Oracle still promotes the all-Oracle or, as I say, the red stack." Patrick Moorhead, an analyst with Moor Insights & Strategy, noted that when enterprises think about the cloud, they think about AWS, IBM, Google, Microsoft and Salesforce. Meanwhile, Oracle will have some work to do to get its name in the same breath as the top players. "Oracle should have started earlier on the cloud, but I give them credit for turning everything over to get there," Moorhead said. "They got a late start and need to compensate for that late start. And they really don't have a mature solution for the hybrid cloud." And if this doesn't work out for Oracle, Moorhead said he sees trouble ahead for the now-cloud-focused company.